This property is situated a short walk from the main shopping town of Maidstone, within a mile of the M20 and M2. These offices are on the second floor, and are mainly open plan, but can be divided up as required. 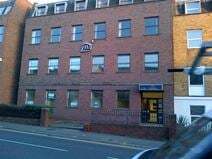 A 10-minute walk to the town centre and mainline station this prestigious Grade II listed office space is located in a the prime business sector area of Maidstone. All inclusive Flexi rental package. Located in the town centre, this excellent business space is surrounded by amenities including retail outlets, banks, cafes, restaurants and bars. There is also a railway station with frequent services as well as various bus routes. For road access, the M20 and M2 motorways are close by. offices are furnished and offer free WiFi, and there is a car park which is perfect for those driving to the office. 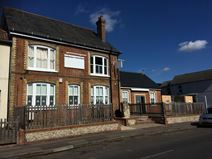 This space is located in the large village of Ditton, and is well placed for access to the railway stations, including Aylesford and West Malling. There is parking available on-site for those commuting by car, and other amenities include a reception team, conference facilities, meeting rooms, as well as the ability to access the space 24-hours a day. Nearby, there are places to eat and drink as well as local amenities such as post office. 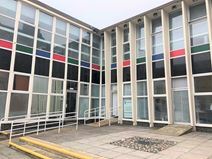 With direct access to the A229, this strategically located building provides small to medium sized office space fitted out to a high spec and includes all furniture. Rents are flexible while a number of on-site meeting rooms are also available for use. Other on-site amenities include air conditioning, IT support, a board room and break-out space. Bike racks and showers are on hand for those cycling to the office. These premises offer a range of high quality office spaces, available furnished or unfurnished. There is a restaurant, meeting rooms, and a large on-site car park. Situated in attractive grounds, just off junction 7 of the M20, with easy access to Maidstone town centre and train services to London.